Define the Phases of your process. Phases are the columns on your Kanban board. You can drag stories from phase to phase. Use indentation to create multiple stories at once. 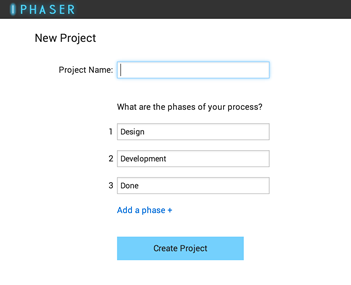 Phaser's story parser will slurp them up for you. 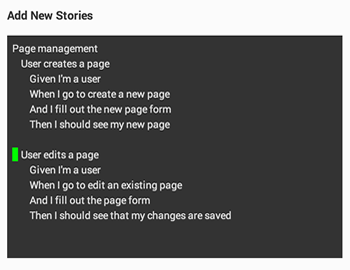 Keep your project organized by grouping stories into overarching features sets, or Arcs. 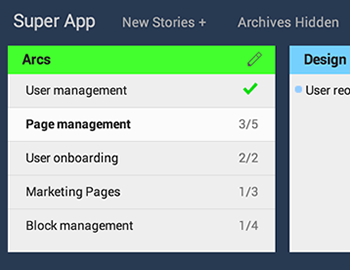 This allows you to quickly reprioritize major feature sets and see their status at a glance.